Use this log as a weekly hw reading log. 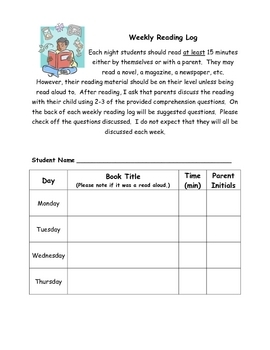 Students should read nightly and then discuss the reading with their parents. 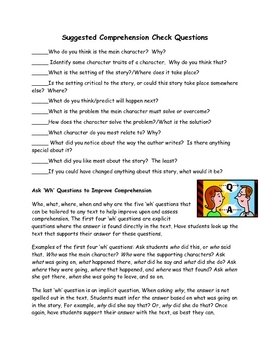 This is especially useful for struggling readers and writers because it holds them accountable without adding the extra stress of writing responses.